Comments Off on Civil Procedure Code, 1908, O.8 R.5-Striking off defence-It only permits the courts to decree the suit but does not make it mandatory-In the circumstances, no fault can be found with the action of the courts in requiring the predecessor of the appellants to lead some positive evidence. 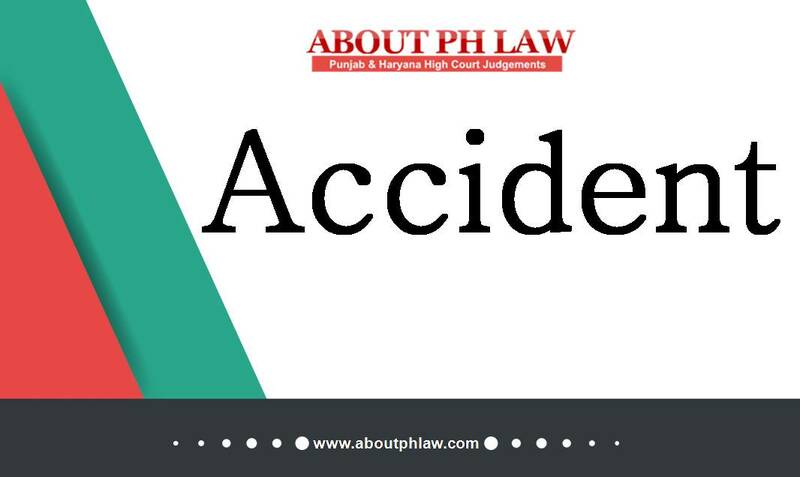 Comments Off on Abatement of Suit—Death of sole defendant—Suit does not abate against the deceased defendant even if no application is made for impleadment of Legal Representatives and decree passed against the deceased-defendant would be deemed to have been passed before he died. Comments Off on Public Premises—Department, who is not the owner, could not have initiated the eviction proceedings. Public Premises—in absence of violation of terms and conditions of allotment, there was no occasion for the department to cancel the allotment. Comments Off on Land Revenue—Sanction of Mutation—Merely because the mutation of the sale-deed of agricultural land was not sanctioned in the revenue record, the rights of a vendee in the sale-deed and his successor would not evaporate. 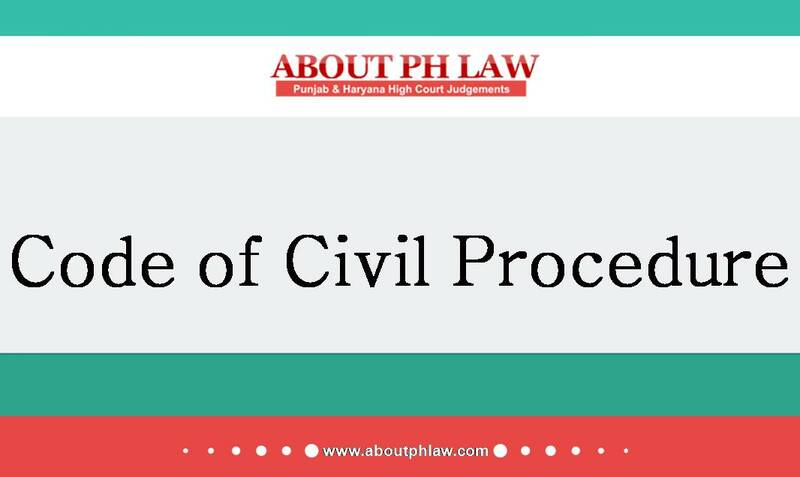 Comments Off on Civil Procedure Code, 1908, O.23 R.1 –Withdrawal of Suit-Defendant has no right to raise any objection to such prayer being made by the plaintiff except to ask for payment of the cost to him by the plaintiff as provided in sub-rule (4). Revenue Law—Jurisdiction of Civil Court—Once agricultural land loses its basic character and has been converted into authorized/unauthorized colonies, the bar on jurisdiction of civil courts would not be attracted. 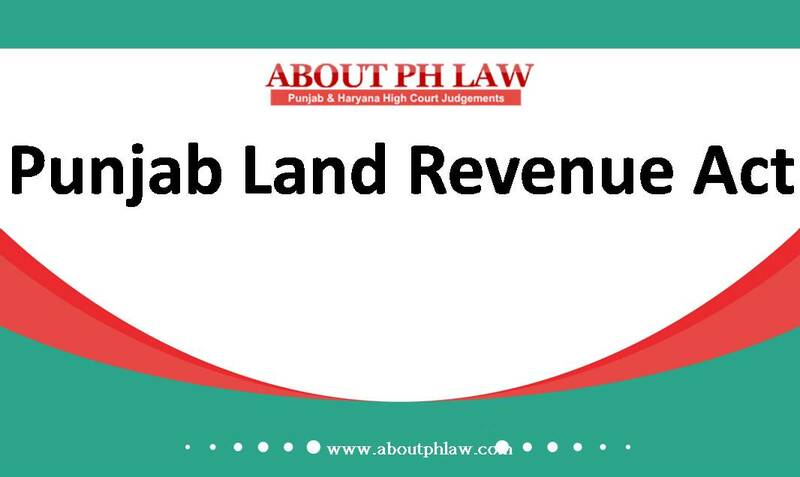 Comments Off on Revenue Law—Jurisdiction of Civil Court—Once agricultural land loses its basic character and has been converted into authorized/unauthorized colonies, the bar on jurisdiction of civil courts would not be attracted. 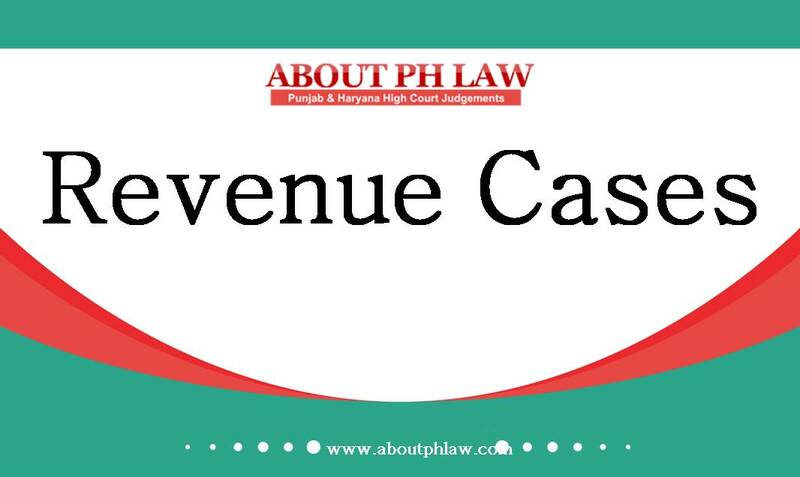 Eviction—Mesne Profit not claimed in eviction suit which attained finality—It cannot be claimed thereafter by filing subsequent fresh suit. Comments Off on Eviction—Mesne Profit not claimed in eviction suit which attained finality—It cannot be claimed thereafter by filing subsequent fresh suit. Partition—If part of the land sought to be partitioned is abadi, i.e. cultivable/ chahi, then the remedy to seek partition would vest with the Civil Court but not with the Revenue Court. Comments Off on Partition—If part of the land sought to be partitioned is abadi, i.e. cultivable/ chahi, then the remedy to seek partition would vest with the Civil Court but not with the Revenue Court. 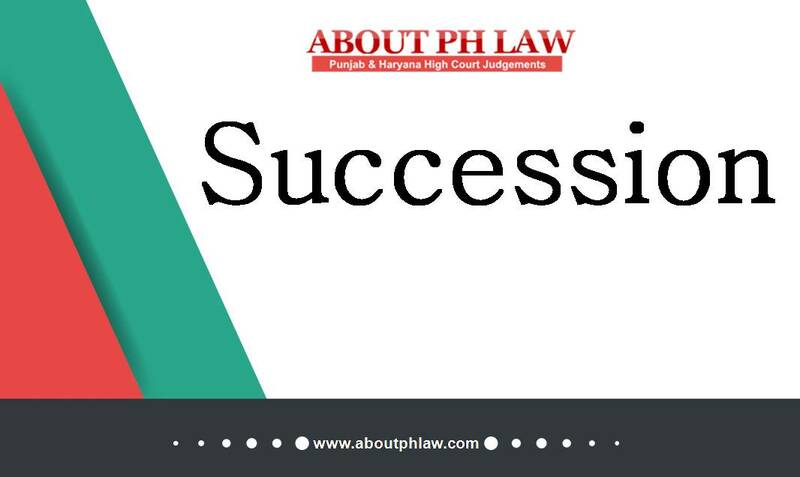 The plaintiff had earlier filed a suit claiming his right under the Hindu Succession Act and he could have taken the plea of promogeniture only in the first suit and the second suit could not have been filed-Therefore, the suit was also barred under Order 2 Rule 2 CPC. 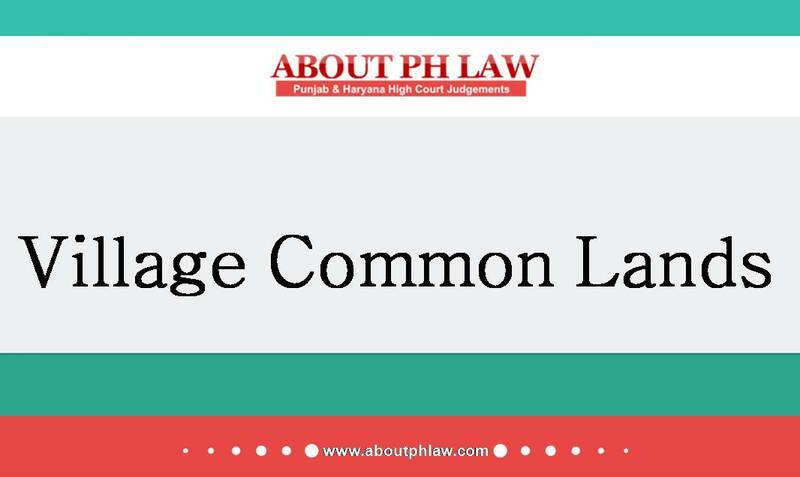 Comments Off on The plaintiff had earlier filed a suit claiming his right under the Hindu Succession Act and he could have taken the plea of promogeniture only in the first suit and the second suit could not have been filed-Therefore, the suit was also barred under Order 2 Rule 2 CPC.